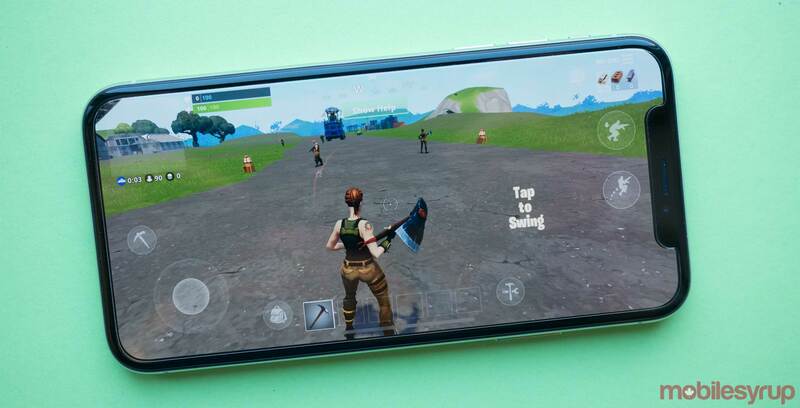 Fortnite grossed half a billion dollars on iOS in less than a year, according to data from market intelligence company Sensor Tower. The company says Fortnite crossed the $500 million USD (about $664 million CAD) mark 326 days after launching on Apple’s platform. Similarly popular mobile games like Clash Royale and Honor of Kings reached that milestone at 389 and 405 days respectively. Further, Sensor Tower says Fortnite brought in an average of $1.53 million USD (roughly $2.03 million CAD) for developer Epic Games every day. The majority of that spending came from the U.S., accounting for 64 percent — about $320 million USD (approximately $425 million CAD). Sensor Tower estimates Apple took about $150 million USD (roughly $199 million CAD) of those earnings with its 30 percent platform fee for in-app purchases. On top of this, Sensor Tower notes these figures don’t include the more than $100 million USD (about $133 million CAD) it estimates the game earned on Android — money that Epic Games gets to keep thanks to its decision to bypass Google’s Play Store. Fortnite was the ninth highest-earning app worldwide last year based solely on its iOS revenue. It also ranked sixth among games. Epic’s game continues to surge in popularity as well. It was the most tweeted about game in Canada last year, and Sensor Tower says the game has already grossed an estimated $38 million USD (roughly $50 million CAD) globally this year.